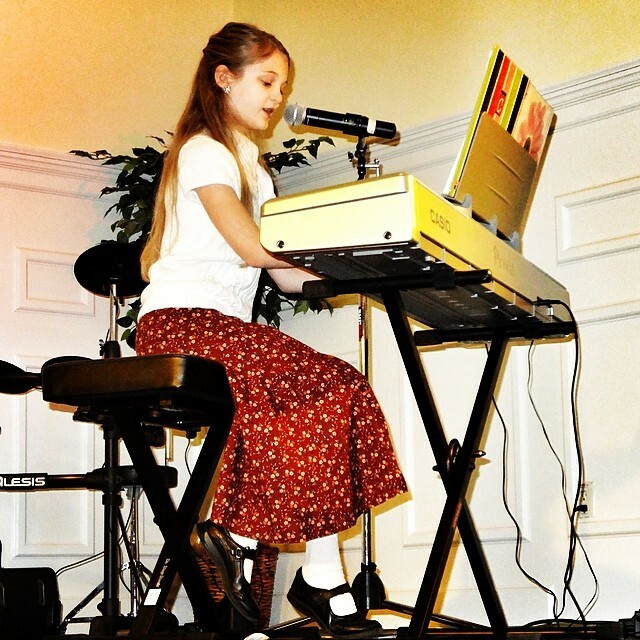 Close-up from Kate’s performance of The Beatles’ “Let it Be” at the 2014 Bellevue Church of Christ Talent Show. This was the first time she has done vocals in front of an audience, and she did great! She specifically learned to play this song as a Christmas present to me, because she knows that I’m a HUGE fan of The Beatles. This made it even more special. 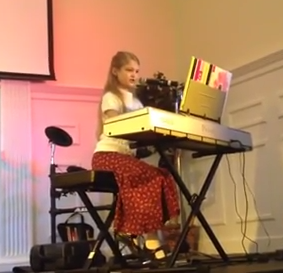 So proud of Kate for this performance of The Beatles’ Let it Be at the 2014 Bellevue Church of Christ Talent Show. This was the first time she has done vocals in front of an audience, and she did great! She specifically learned to play this song as a Christmas present to me, because she knows that I’m a HUGE fan of The Beatles. This made it even more special. Note: The audio is a little low, so you may have to crank up the volume a bit! For students in my Wednesday night class on The Life of Abraham: Handouts and Notes for Lesson 11 are now available online. Lord willing we will cover this text tonight at 6:30pm at Bellevue Church of Christ! 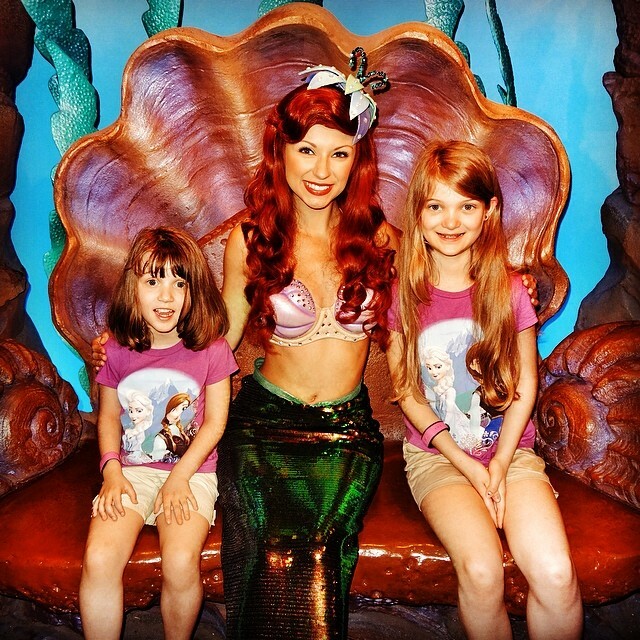 Look who made it to Magic Kingdom today just in time to meet Ariel!! So glad Kate is getting to enjoy a little more of WDW before we head home tonight. 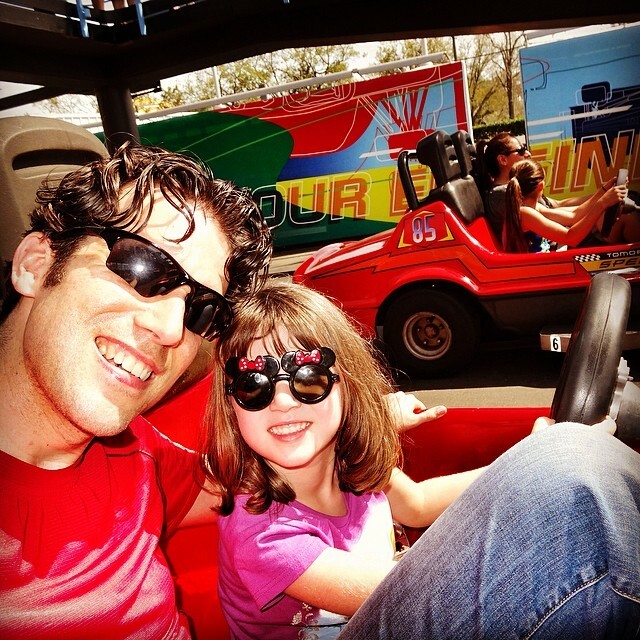 Having a fun Daddy / Daughter day with Sara at Magic Kingdom. Olivia is back at the hotel with a sick Katerbug, but rumor is that she may be making an appearance soon! 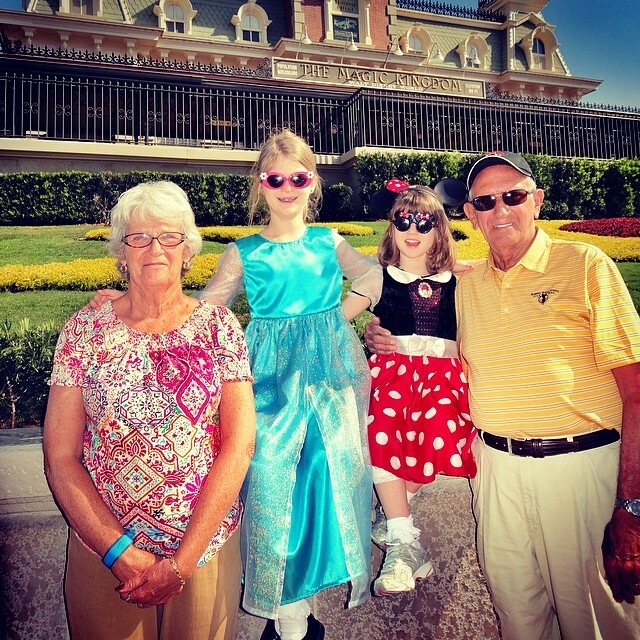 Kate & Sara with Nanny & Papa as we entered Magic Kingdom this morning. 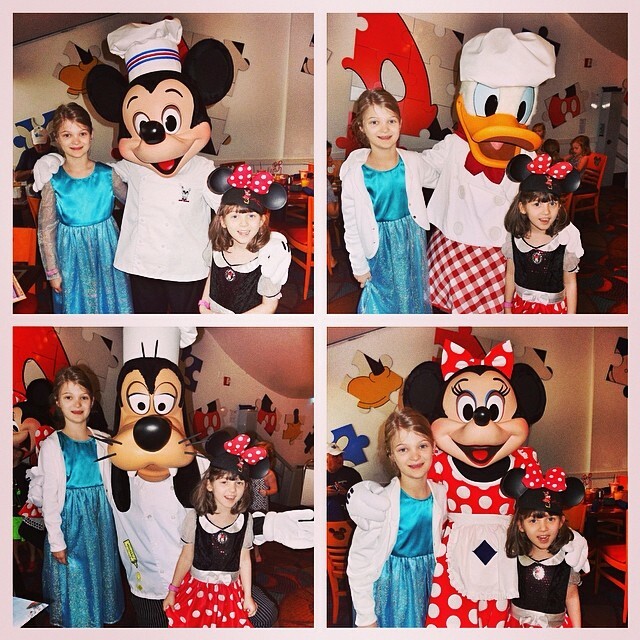 Character breakfast this morning at Chef Mickey’s in the Contemporary Resort. The girls were so sweet! 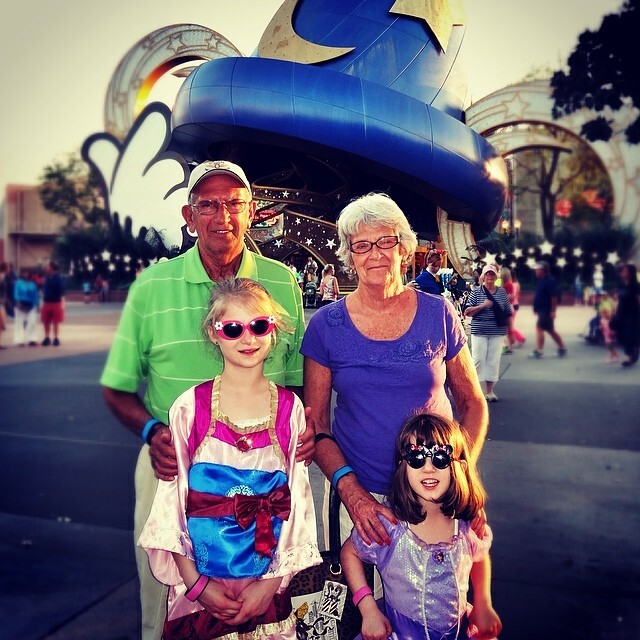 Kate & Sara with Nanny & Papa near the end of a great day at Disney’s Hollywood Studios. 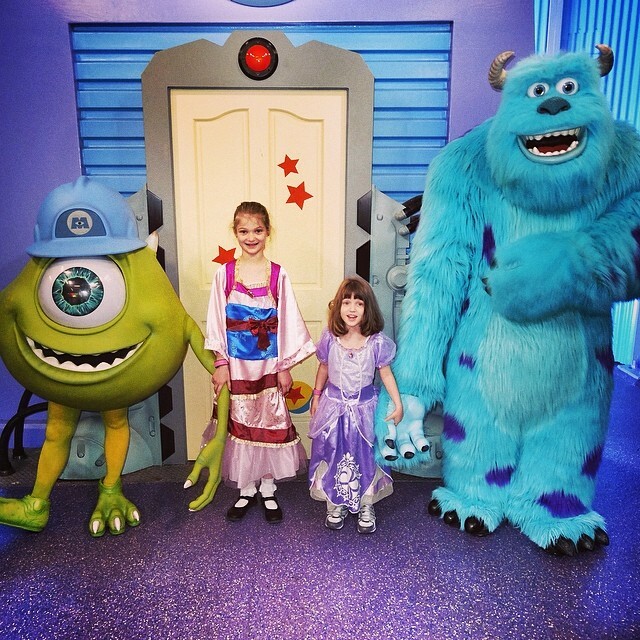 Kate & Sara with Mike & Sully from Monster’s Inc.